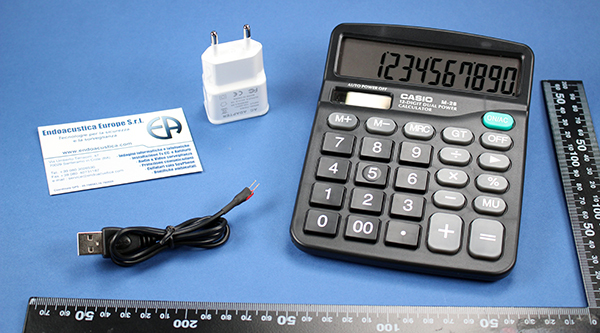 A modern-designed and perfectly functional calculator*: it is one of the most popular audio-spying devices since it guarantees a high level of anonymity and a perfect performance in long-distance monitoring. It is not for nothing that it can be left on your desk at your office or at home to monitor places or people without arousing suspicion. 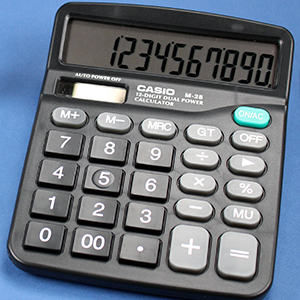 As a calculator is an ordinary device, it can be put in your bag to use it – or to make people use it, if necessary. Here there are some examples: it can be used for a long-distance monitoring of your home, your office, your children... In conclusion, if you are looking for a discreet and functional spy gadget, GSM-CALC is the one that fits you! The use of the device is absolutely basic and no technical skills are required to handle it autonomously. For instance, some functionalities can be activated or deactivated by sending a text message, or you can benefit from the useful “Call back” procedure – a vocal recall activated by sound. “call back” procedure can be set up on three levels and enables the device to enter stand-by mode until a sound is perceived in the surroundings. Thus, optimised management and energy-saving are assured. Finally, authorization to access to the audio of certain phone numbers assures a high security level. *Watch out! Colour and model of calculator might vary according to availability in the warehouse. Look how our GSM-CALC works!